Are you ready for college? The University of Central Florida understands the significant role college entrance exams, such as the SAT, play in college admissions. Acceptance into a student's school of choice can hinge on his or her performance on the SAT. UCF Test Prep has developed a high-quality, 20-hour comprehensive SAT review program in an affordable and convenient format. With programs in Orlando and the surrounding areas, our review program provides Central Florida high school students with an opportunity to enhance their skills and abilities to achieve higher SAT test scores. Our five-week SAT review program is offered year round and instructed by experienced, expert instructors. This one day per week format allows students to practice their skills during the week, leading to greater opportunities for learning and interaction with our expert instructors. Students are provided with an in-depth review of the exam's mathematics, critical reading, and writing sections and insight into strategies for succeeding on the SAT including time management skills. UCF Test Prep offers a discount to those who are UCF Alumni, active UCF students graduating within the same academic term as the selected review course is scheduled, or current UCF Staff or Faculty. For our SAT and ACT Review Programs, the discount can be applied to children of UCF Alumni, Staff, and Faculty. UCF Test Prep only provides test preparation review courses and does not provide registration for the actual exam. 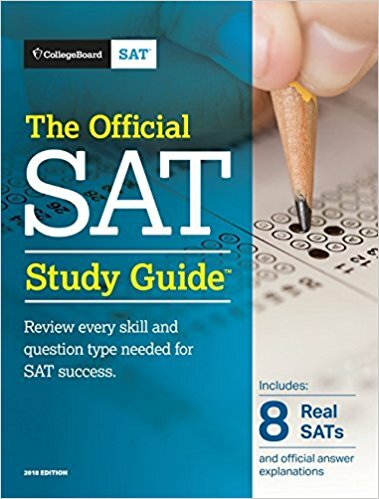 Please visit www.sat.collegeboard.org to register for the test or to find your nearest test location. Here is the course shedule. Students are responsible for providing their own copy of the textbook. With over 18 years of experience the UCF Test Prep staff contributes to the development and administration of the review courses for the GMAT, GRE, MCAT, PCAT, TEAS, SAT, ACT, CMA, CIA, CPA, and FTCE exams. Each course is designed to prepare students for the verbal, mathematical, science, and essay sections of each exam. The review course offers an overview structure of the test, successful techniques and strategies on the exam content, and sample tests. As part of the University Of Central Florida Division Of Continuing Education, we believe in the UCF Creed of Integrity, Scholarship, Community, Creativity, and Excellence as the core values that guide our conduct, performance, and decisions. The maximum class size is 25 students. Is the textbook included in the fee? No, the textbook needs to be purchased separately. Please make sure the CD-Rom is included with the GMAT, GRE, and FTCE textbook. All other textbooks do not require a CD-Rom. All textbooks can be purchased at most national or local bookstores or online suppliers. Do I have to be a UCF Student to take the course? No, the UCF Test Prep Review is available to anyone. Who is qualified for the UCF Alumni Discount? Students who have graduated and received a degree from UCF qualify for the alumni discount. The discount is also extended to those about to graduate from UCF within the same term as the review course and current UCF Staff and Faculty members. For ACT/SAT only, the discount can be extended to children of UCF Alumni. What is the success rate of students after taking the test preparation classes? We do not have statistics on the test scores because, most students take the test right after they complete the test preparation course and there is no requirement for them to report their scores to UCF Continuing Education. What we do have, from test prep students, are extremely high indications of instructional satisfaction through documented feedback from test preparation students listed on our website. Why is your test preparation class so much cheaper than other test preparation classes I have found? Our goal is to offer a quality service at an affordable price and ultimately assist potential undergraduate, graduate, and professional level students with enrollment into a degree program. Can I register for my exam with you? We do not manage any of the actual exams. Students need to go to the selected exam's website to sign up for a test date. The links below will provide students with the most up to date details on the actual exam, testing site locations, dates, and exam fee. Is the test included in the class? Students will be given practice tests, quizzes, testing strategies, and homework assignments to prepare them for the exam. We do not administer the actual exam. The test must be arranged separately with a testing facility. Do you offer a free practice exam? We provide free practice exam links on each of our test preparation review pages. UCF Test Prep is not affiliated with these sites. These are references from the official testing organizations that administer each exam. We feel each will be beneficial in providing core concepts to students. I tried to register and make payment but the page timed out and I can't log back in. What do I do? If you are having trouble making payment or logging in, please contact ceprograms@ucf.edu or 407-882-0260 to complete payment. What do I do if I am going to miss a class session? Please contact us if you know in advance that you will be missing a class or if you have already missed a class after the course has started. We will notify the instructor and will work with the student based on the conditions of the absence. What is the transfer and refund policy? All refund requests will be required to follow the Division of Continuing Education refund policy. Cancellation/refund request must be made in writing to UCF Continuing Education (Ceprograms@ucf.edu) no later than seven business days prior to the beginning of the course to receive a full refund. For all refund requests submitted within 7 days of the first class meeting, UCF CE will grant a 75% refund. Nonattendance does not constitute a cancellation. For online courses, no refunds are available once you have accessed the course. I just wanted to thank you for taking the time to teach the SAT prep class. I went up 100 points in reading, 100 points in math, and 50 points in writing. With just the math and reading, I went from a 1020 to a 1220. My score now is an 1870. I am so thankful for all that you have done, and it's really a life changing experience because now I have a really good chance to go to a good college.